Alkaline Diet Plan For Weight Loss: Do's and Don'ts! This is mostly because the main foods on the plan are whole and healthy fruits and vegetables, which in general, typically lead to better weight loss success. While an alkaline diet plan might seem relatively simple and straightforward, there are some do’s and don’ts that you might want to consider before proceeding. We’ve compiled a list of helpful tips and tricks that you can add to your weight loss arsenal to help increase your chances of success on an alkaline diet plan! •	DO: Talk to your health care provider before starting an alkaline ash diet or any variant. Because your overall health and any underlying conditions that you might have or medications that you may be taking can be compromised by certain types of restrictive diets such as this, it’s important to have the care and guidance of your health care provider before proceeding. He or she can also provide helpful advice and tips about the best ways to go about a successful alkaline diet plan. •	DO: Consider supplements. Because entire food groups are essentially eliminated, you might be putting yourself at risk for deficiencies in key nutrients that your body needs for proper functioning. Identify which nutrients an alkaline diet plan might put you at risk of missing out on and make sure that your supplement provides you with enough of what your body needs. •	DON’T: Skip exercise. Just because you are eating healthier and incorporating an abundance of fresh foods into your alkaline diet menu doesn’t mean that you can get in even more couch time. Exercise is essential to any successful diet plan, and the alkaline diet plan is no exception. •	DON’T: Expect your PH to actually change. The weight loss benefits of an alkaline diet plan are rooted in lower caloric intake and abstinence from high calorie, over processed and over refined foods, as well as an incorporation of alkaline diet foods that are generally healthy in the first place. Don’t bother with home PH tests and kits to see if you’re doing it right. Your body manages its own PH levels, and your input won’t have an effect on it. 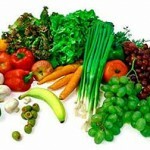 Save your money and spend it on more alkaline fruits and vegetables. •	DO: Experiment! Just because you’re considering a restricted diet doesn’t mean that it has to be boring. Fruits and vegetables are some of the most versatile food stuffs that you can get your hands on, and you’ll find a wealth of resources on the internet that will help you come up with alkaline diet recipes to keep you from having a monotone daily meal routine. •	DO: Consider other healthy lifestyle changes that go hand in hand with the alkaline diet plan. For instance, avoiding alcohol is one key component, so consider kicking the habit if you’re a smoker. The substances found in these products can lead to poorer overall health and can make losing weight even more of a challenge.